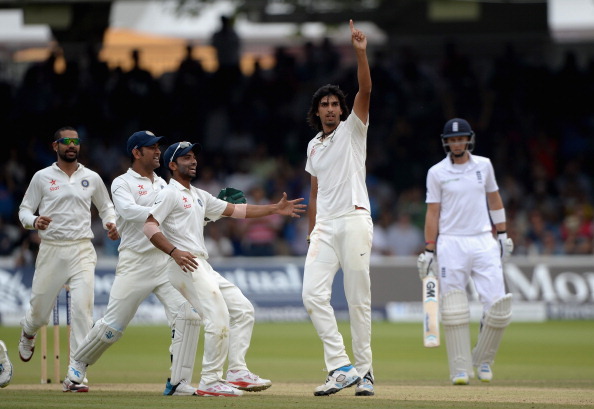 Here are some of the most memorable performances from Indian bowlers in Test wins in England. England and India will engage in the first Test of the much awaited five-match series from August 1. The first Test will be played at Edgbaston, Birmingham. India had played their very first Test against England in 1932 at the Lord’s; however, they had to wait till 1971 in order to win their first Test against England in England. So far, India has won only 6 Tests in England, with two of those wins coming in the 1986 series when India won the series 2-0 under the captaincy of Kapil Dev. Though batsmen have played big roles in Indian wins in England, it has always been the bowlers who picked 20 wickets in the Tests to win the matches and thrice, the series as well. 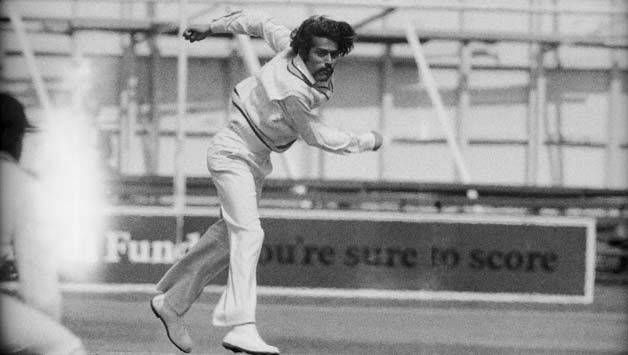 So saluting the Indian bowlers in the Indian Test wins in England, we look at the memorable performances by Indian bowlers in the Test wins in England. India’s first ever Test win over England in England came at the Oval in the 1971 series. It was the third Test of the series and with the first two Tests drawn; this was the decider Test match between the two sides. England won the toss and chose to bat first. With John Jameson’s 82, Allan Knott’s 90 and Richard Hutton’s 81, England managed to put up 355 runs on board. Eknath Solkar picked 3/28 and the spinner trio of Bishan Bedi, Bhagwath Chandrasekhar, and S Venkataraghavan picked 2 wickets each. India replied with 284 with half-centuries from Dilip Sardesai (54) and Farokh Engineer (59). England captain Richard Illingworth picked 5/70. With a lead of 71 runs, England looked to put a huge lead on board. But Bhagwath Chandrasekhar had some other ideas and picked 6/38 to run through the England batting lineup. He picked the wickets of Luckhurst, Edrich, Fletcher, Illingworth, Snow, and Price to finish England innings to 101. India needed 173 runs to win the Test and the series. Though Gavaskar got out for a duck, Ajit Wadekar (45), Dilip Sardesai (40), G Vishwanath (33) and Farokh Engineer (33) took India to a famous win despite Derek Underwood’s 3/72. India won the match by 4 wickets and with it, they won the series 1-0. This was the first ever Indian win over England in England and the first ever series win in England. The star of the Indian win was Bhagwath Chandrasekhar as he picked 8 wickets in the match. India’s next Test win in England came after 15 years. 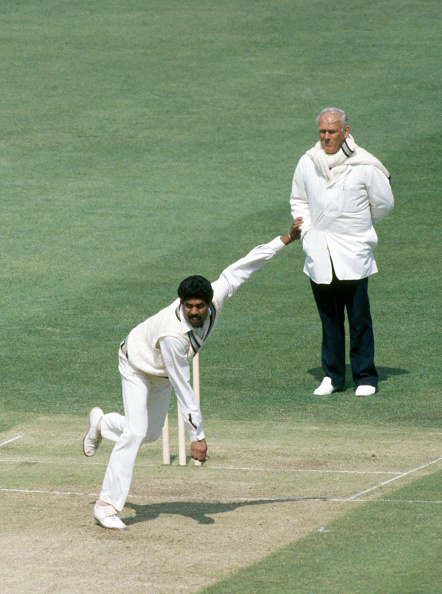 India played England at Lord’s in 1986 under the captaincy of Kapil Dev. India bowled first after winning the toss. Graham Gooch (114) and Derek Pringle (63) took England to 294. For India, Chetan Sharma picked 5/64 and Roger Binny picked 3/55. India replied with 341 with Dilip Vengsarkar scoring the first of his three centuries at Lord’s, a scintillating 126*. He was supported by Mohinder Amarnath (69) and Sunil Gavaskar (34). Graham Dilley picked 4/146 and Derek Pringle picked 3/58 for England. England was bowled out for 180 with Mike Gatting top-scoring with 40. 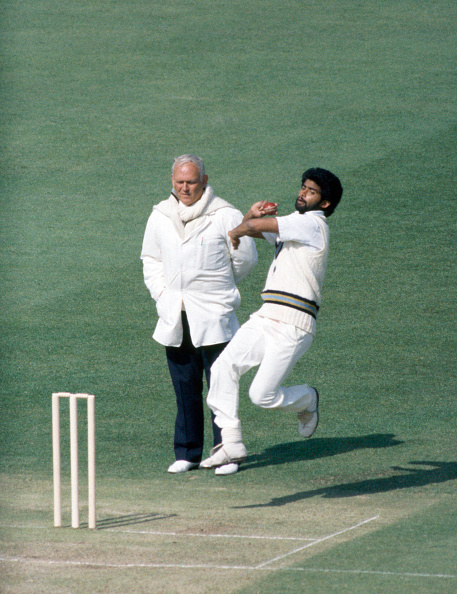 The hero proved to be Indian captain Kapil Dev who picked 4/54 including the wickets of openers Gooch and Robinson; captain David Gower and Derek Pringle. He was well assisted by left-arm spinner Maninder Singh who picked 3/9 himself. Set 134 runs to win, India lost Srikkanth and Amarnath early, but rest of the batting pitched in to take India to their first win at Lord’s with 5 wickets in hand. 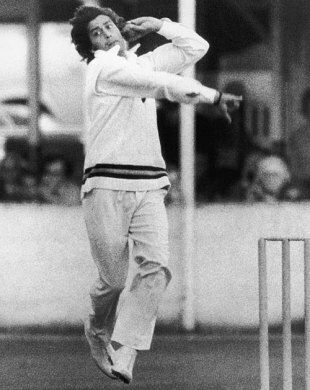 Kapil Dev was given the Player of the match award for his 5 wickets in the match. 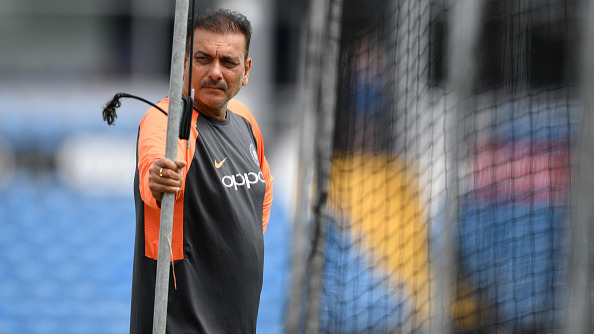 India moved on to Headingley, Leeds for the second Test of the series and elected to bat first after winning the toss. India somehow managed to put on 272 with Dilip Vengsarkar scoring 61 and Gavaskar, Srikkanth, More and Amarnath scoring 30s. India needed to bowl England out cheaply to gain the advantage in the match and Roger Binny (5/40) and Madan Lal (3/18) did just that. England was bowled out for 102 With Bill Athey top scoring with 32. England bowled better in their second innings, but 102* from Dilip Vengsarkar and with 31 from Kapil Dev and lower order contributions, India put up 237 runs and built a lead of 407 runs. John Lever (4/64) and Derek Pringle (4/73) were the star bowlers for England. 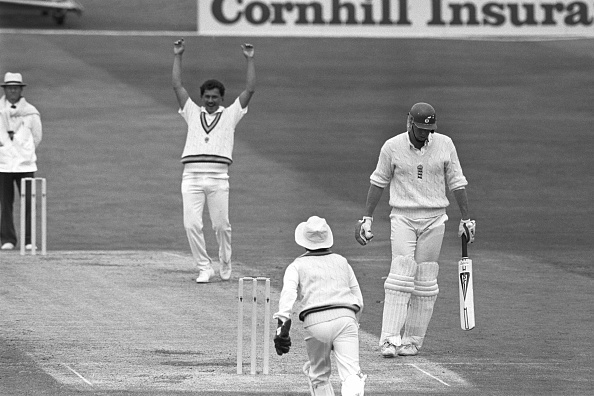 Needing 408 to win, England required a solid start from their openers, but Kapil Dev and Roger Binny picked two wickets each to run through the England top order. Then Maninder Singh weaved his web of spin and picked 4/26, as England crumbled to 128 all out and lost the match and series by 279 runs. Dilip Vengsarkar was given the Man of the match for his brilliant 61 and 102*, as India won a series in England for the second time after 15 years. 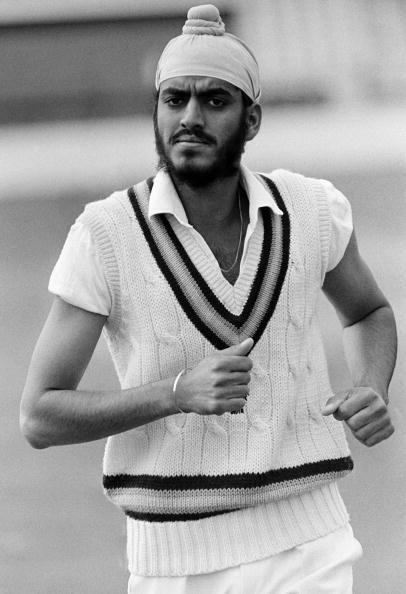 The new look India side toured England under the captaincy of Sourav Ganguly. In the 3rd Test at Leeds, the four-match series was drawn 1-1 and India decided to bat first. Sanjay Bangar gave a solid start with 68, but then the holy trinity of Indian batting Sachin Tendulkar (193), Rahul Dravid (148) and Sourav Ganguly (128) pushed India to 628/8d. The trio put on a master class in batting, while Sourav Ganguly played aggressively to push to a bigger score. England’s first innings ended on 273 with 61 from Michael Vaughan and 78 from Alec Stewart. 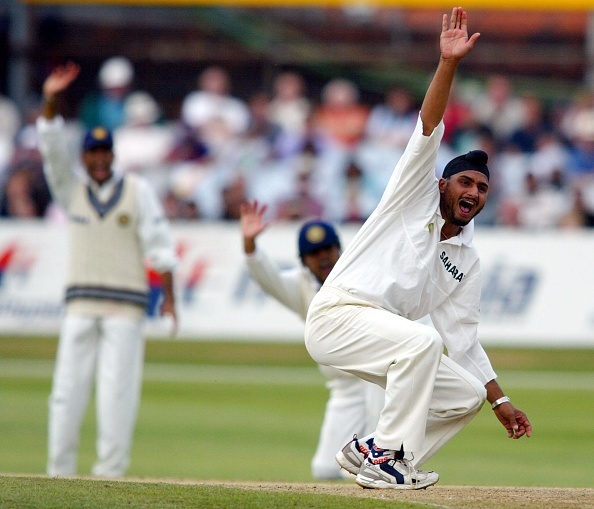 Anil Kumble picked 3/93 and Harbhajan Singh picked 3/40 to give India a lead of 355 runs and asked England to follow on. England fared better in the second innings scoring 309 runs and consumed balls in order to push the match towards a draw. Nasser Hussain, the England captain scored 110 and Alec Stewart hit 47 runs. Anil Kumble picked 4/66 in order to give India a brilliant win by an innings and 46 runs. Rahul Dravid got the Man of the match for his 148, as his innings set the platform for Sachin and Sourav to put England under a mountain of runs. The second Test of the 2007 series was played at Nottingham and saw a brilliant bowling performance win the match for India. England batted first after Rahul Dravid won the toss and chose to field. His decision was proved right as England was bundled out for 198 with Cook making 43 and Bell making 31. For India, Zaheer Khan picked 4/59 and Kumble picked 3/32. India needed to put runs on the board and that’s what they did. Dinesh Karthik (77) and Wasim Jaffer (62) gave India a good start. Then Sachin Tendulkar (91), Ganguly (79), and Laxman (54) took India to 481. Monty Panesar picked 4/101 and Chris Tremlett picked 3/80 for England. England replied in kind scoring 355 as Michael Vaughan scored 110; Strauss made 55, Collingwood made 63. Zaheer Khan picked 5/75 and 9 wickets in the match. Thanks to his performance, England could only gain a lead of 72 runs. India reached the target with 7 wickets in hand, as Chris Tremlett picked 3 wickets. Zaheer Khan won the Man of the match for his 9 wickets in the match and took the lead in the series. With the first match drawn, England won the toss and decided to bowl first in the second Test of the five-match series. Rahane scored 103 and with contribution from the lower order, took India from 123/5 to 295 runs. James Anderson picked 4/60 to keep England ahead in the match. England was kept to 319 runs despite Gary Balance scoring 110 and Liam Plunkett scoring 55 runs. 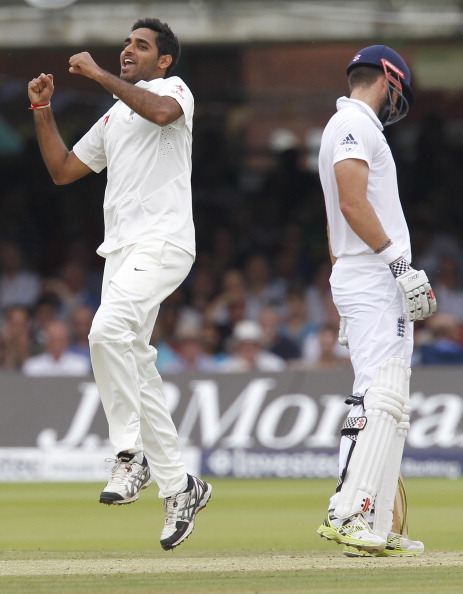 The star for India was Bhuvneshwar Kumar, who picked 6/82 on his debut on Lord’s. India fared a bit better in the second innings to score 342 runs with M Vijay making 95 and Jadeja and Bhuvneshwar contributing with 68 and 52 runs respectively. Ben Stokes and Liam Plunkett picked three wickets each. India set a target of 319 runs for England and then began the destruction of England at the hands of Ishant Sharma, who bounced the English batsmen out taking 7/74, as England crumbled to 223 runs and India won the match by 95 runs. 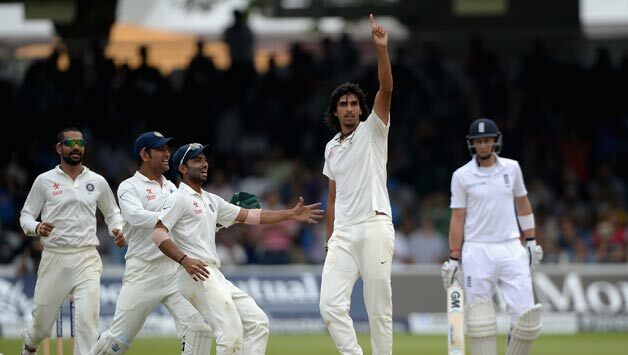 Ishant Sharma also piped Bhuvneshwar Kumar for the Man of the Match award.